Gunmen, suspected to be kidnappers, have abducted Mrs Tina Inegbagha, wife of Paramount ruler in Ayakoro Community in Ogbia Local Government Area of Bayelsa, and Mr Egele Jack, the Principal of Government Craft Development Centre, Ayakoro. Mr Majesty Inegbagha, a member of the monarch’s family, who confirmed the development to the News Agency of Nigeria (NAN) in Yenagoa on Tuesday, said that the incident took place on Dec. 16. According to him, the second victim of the abduction, Jack, hails from Ekeremor Local Government Area of the state. Speaking at his palace on return from his trip, the Paramount Ruler, Righteous Inegbagha, appealed to the state government and security agencies to assist to ensure that his wife and the Principal were unconditionally released. He also appealed to the kidnappers to set his wife free and prayed for her safe return. The monarch said that from witnesses accounts, the gunmen who numbered more than seven, came with a twin engine speed boat, three were armed with AK 47 rifles, while others carried machetes and other dangerous weapons. 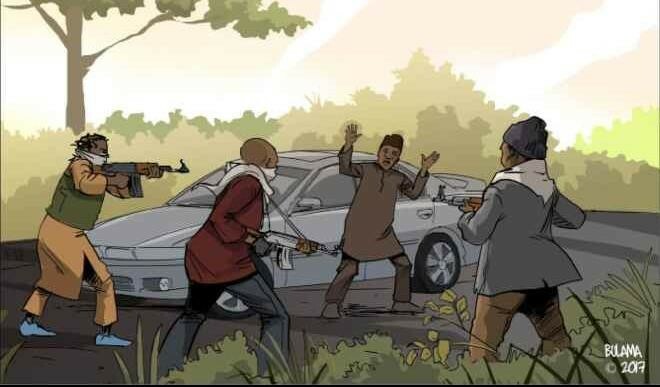 “The gunmen laid siege on the community for over two hours and carried out their nefarious activities – robbed and made away with cash and other valuables. “Efforts by residents to salvage the situation proved abortive as they were armless and were threatened to submission as the kidnappers brandished their weapons and threatened to shoot any resistant person,” the monarch said. Narrating his ordeal with the gunmen, Mr Ogidi Inegbagha,the first son of the monarch, said the gunmen broke through the window in spite of his shouts, only to be accosted with two guns pointed at him. “They asked me, where is His Highness? Where is his Highness? I told them that he had traveled. Then they asked me where is he keeping his money? And I told them I didn’t know. “Hence they started beating me mercilessly with their guns and machetes. When my mother heard the noise, she came out through the parlour door not knowing that the residence was seized by kidnappers. “They asked us to lie down flat facing the floor at gunpoint and forced my mother to lead them to my father’s private room where they searched and scattered documents looking for money. “They also carried along with them the generator belonging to the Doctor’s Quarter kept at the Palace. 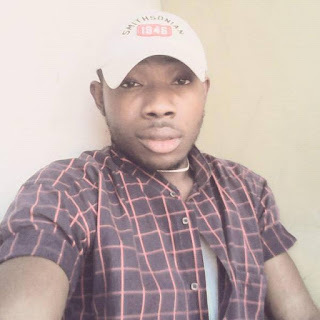 “As they were going with my mother, I followed them but they threatened to shoot me if didn’t go back while they took my mother to unknown destination,” Ogidi said. The Police Commissioner in the state, Mr Asuquo Amba, had in a response to a question on the incident during an interactive session with newsmen on the crime situation on Monday said that the incident was being investigated.